Konfessions of an Elizabethan Fan Dancer. 1967. Third Edition. Toronto: Weed Flower Press, 1973. 74 pages. 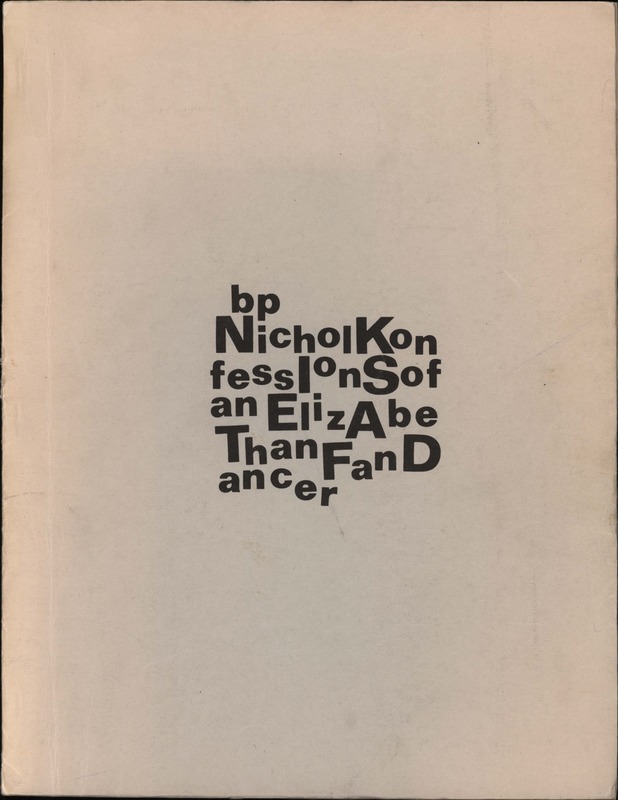 Insert text reads: "Konfessions of an Elizabethan Fan Dancer is a collection of bp Nichol's "borderblur" pieces from the period 1964-1966. It includes some previously unpublished material. It is ironical that Nichol's work of this period, upon which his earlier reputation was based, has not previously been published in book form in Canada. Konfessions fills the gap."